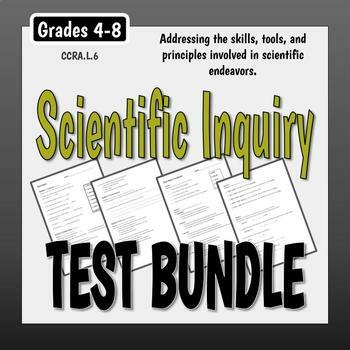 These assessments address the key ideas in scientific exercises and investigations. 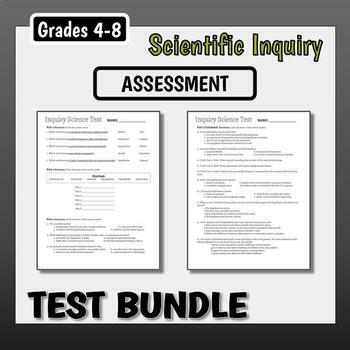 There are three sections to the assessments: terminology, steps of the scientific method, and multiple choice questions centering on experiments and investigations. A secondary, modified assessment for struggling learners is included. 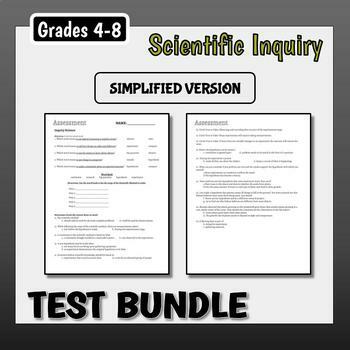 The vocabulary quizzes address the key terms involved in scientific exercises and investigations - categorizing, communicating, comparing, observing, ordering, classify, measure, investigate, experiment, infer, hypothesize, conclusion, predict, data, procedure, and model. 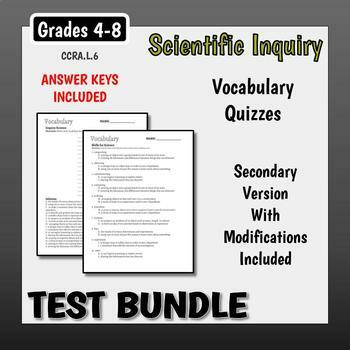 A master vocabulary list, answers, and two alternate quizzes are included. Be sure to open the previews for a good look!